This is another late post. This supposed to be posted 4 months ago, yeah this review had been sitting in my drafts folder that long. I still would like to share it though. 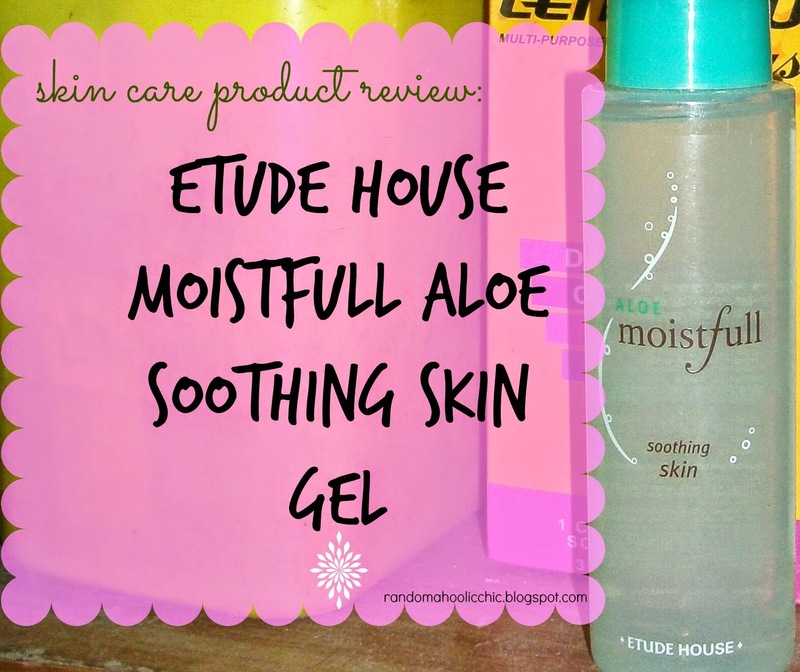 So here is my review of Etude House Moistfull Aloe Sotthing Skin Gel. *Soothing gel containing enriched Baobab Tree extracts and Organic Aloe, supplies instant moisture to the skin with refreshing feel. Apply Soothing Gel after washing your face or body with gentle massage. Apply when you feel extreme dryness or soothe sensitive skin, adding gel on skin whenever you need. The texture is not like an ordinary cleanser because it is more of a clear gel like texture. I use cotton balls and gently apply on face. Then, pat my hands for faster absorption of the product through my skin. 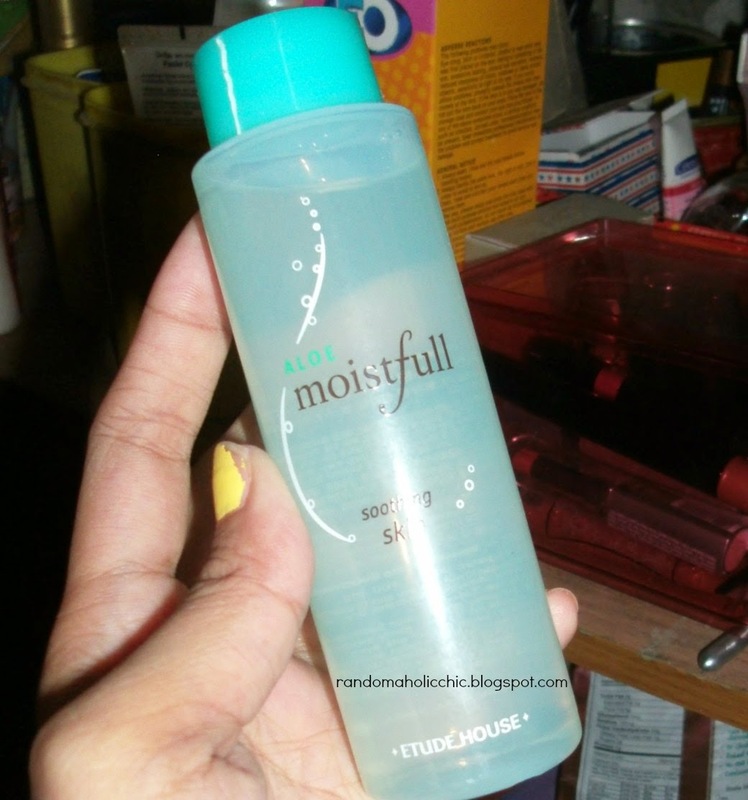 It is not drying and it refreshes my skin. I like that it is very gentle and ideal for those who have sensitive skin. I have used up more than half of the bottle and as what I have noticed, my skin is well moisturized when using this product. As most of you know, I have a very sensitive skin and I was suffering from severe breakouts that month. Correction, I have been having breakouts even before I use Etude House Moistfull Aloe Sotthing Skin Gel, although it doesn’t say it helps control having pimples, I still thought using this product might help since I have a very sensitive skin. Sad to say, it didn’t. I had to stop from using it and use anti-acne skin care products. However, I would like to give it a try anytime soon since my acne problem has already gone!